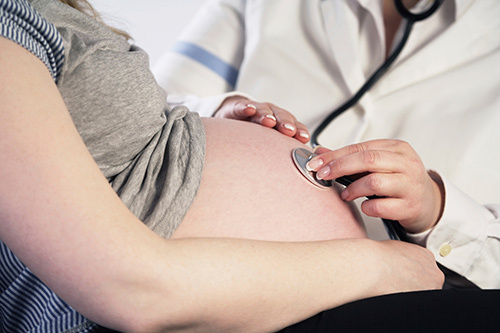 The Perinatal Quality Foundation (PQF) has begun a nationwide campaign to improve understanding of the advantages, limitations, and clinically appropriate interpretation of results of noninvasive prenatal screening and other diagnostic tests for pregnant women and their healthcare providers. Quest Diagnostics is the first commercial organization to support the initiative, through a grant. Campaign officials say they aim to close knowledge gaps among consumers and healthcare providers about a new generation of highly advanced noninvasive prenatal screening tests that identify cell-free fetal DNA in maternal blood, as well as maternal serum screening, chromosomal microarray analysis, and expanded carrier screening. The campaign will also involve the creation of an online patient registry through which women who receive prenatal screening during pregnancy may report results of confirmatory diagnostic tests, primarily chorionic villus sampling or amniocentesis, as well as post-partum outcomes. The goal is to enable scientists to use this de-identified information to determine the positive and negative predictive value for noninvasive prenatal screens for common aneuploidies such as trisomy 21. A tests's predictive value is used to assess whether an individual’s test result is truly positive or negative (or a false positive or false negative), and may be a more important barometer of a test’s clinical value than sensitivity and specificity for conditions that have a low prevalence, such as fetal aneuploidies. In August 2014, Genetics in Medicine published a peer-reviewed study by Quest Diagnostics scientists that found the change that a positive result was a false positive reached as high as 50% for several widely used noninvasive prenatal diagnostic tests, despite sensitivity and specificity rates approaching 100%. “PQF and Quest Diagnostics share a vision to promote high quality, reliable screening of women during pregnancy,” said Mary Norton, M.D, president of PQF.